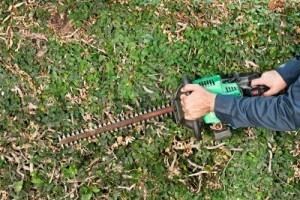 Do you have a rental or commercial property in or around Whangarei in need of some garden maintenance or anything from hedge trimming to tree removal? Do live in Auckland and have a batch up here, but the garden and trees are becoming a bit of a pain because they get in the way of you doing the things you love to do when you visit, things like BBQs and fishing? Or are you just too busy with your professional life to spend hours in the garden keeping it up to scratch? We can help. We specialise in customised garden maintenance and tree care solutions to match your requirements and budget. Our efficient, qualified, conscientious staff can gradually change the garden to make it more maintenance free. This can be done through good plant selection and placements, mulch, correct use of poisons and effective area borders. We are happy to work in with existing gardeners and lawn mower services or coordinate these services as required in the Whangarei area. Do you have a special function coming up for which you want the garden looking top notch, maybe a wedding, anniversary or family gathering? There are things we can do beyond cleaning up, mowing and pruning that will make you garden shine. Some ways Garden Maintenance can help you! Are you thinking of putting your property on the market and want the garden look its best? Do you want your ocean views back? Have your trees dropped branches after a storm? Are you worried about the health of a particular tree or maybe the dangers posed by another tree? We can look after all of these issues with a upkeep programme designed to fit your specific requirements. At Symbiosis, we pride ourselves on the quality of our work, the level of service we provide and the extent to which we can add value without extra cost to the customer. Give a buzz, put us to the test. You’ll be surprised!